What is ”The Bowen Technique”? The Bowen Technique is a form of manual bodywork originally developed in Australia. The method, also known as Bowtech – the Original Bowen Technique and Bowenwork, stimulates the body for self-healing, through the use of the “Bowen moves”. These subtle inputs over muscles, tendons, ligaments, nerves and connective tissue deliver signals to the peripheral nervous system at specific locations in the body, which trigger responses from the central nervous system travelling to these locations and enhancing adjustment or correction of various tissues and structures of the body. Rather than focusing on a single complaint, Bowen Technique addresses the entire body, by restoring balance via the autonomic nervous system (ANS), which controls over 80% of bodily functions and is very susceptible to external stressors. Most people today live in a constant state of high stress and sympathetic ANS over-stimulation (fight, flight or freeze mode). Healing can occur only after the ANS shifts from sympathetic to parasympathetic dominance (rest, relax and repair mode). The Bowen Technique enables that shift. During a session, the client often drops into deep relaxation or falls asleep, and loud peristalsis may be heard. Both of these changes are indications of a profound release from stress and a shift towards parasympathetic influence. This shift could explain, in part, the common observation that a Bowen Technique session seems to reactivate the recovery process in situations where healing from trauma, sickness or surgery has stalled or reached a plateau. Bowtech, as a complementary method does not interfere with traditional medical care. 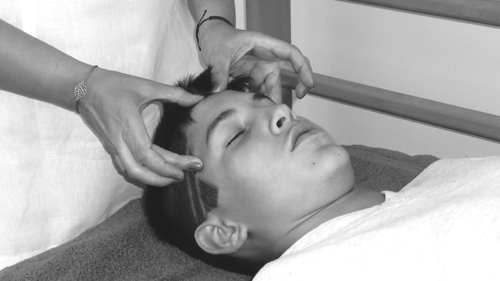 In contrast to other hands-on modalities, where the practitioner imposes correction on the client through manipulation, the Bowen Technique facilitates the body in healing itself, with minimal intervention. The Bowen Technique offers tremendous benefit to clients with very little effort on the part of the practitioner. It can provide relief for many types of injuries and other health problems, both acute and chronic. While there are a few, very specific situations in which a particular Bowen procedure is contraindicated, the Bowen Technique is appropriate for people of all ages, in all degrees of health. Because of the delicate nature of the Bowen Technique, and the body’s continuing response to it over several days thereafter, other forms of manipulative therapy are discouraged for up to five days after a session, as they may interfere with the efficacy of the work.